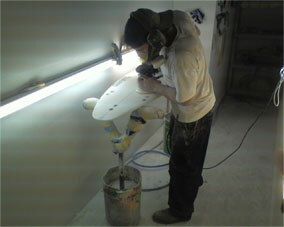 Wallbridge Surfboards feel that repairs are the vital nuts and bolts of daily business! We have boards turn around in 5 working days and there is nothing that we cant do. Nipper,paddle,Kite boards,tow,sup,sailboards,wave skis,kayaks,surfboards,malibu's,jet skis, and all watercraft!